UrbanArts is presenting the ‘ThrowDown’ Dance Convention– a 1-day annual urban dance platform aimed at promoting the importance of accessible and inclusive dance programs, highlighting the importance of physical literacy, offering new and exciting opportunities for growth and recognition to young performers, and encouraging community engagement through the vehicle of creative movement. Our 2019 theme is ‘Healthy Living through Dance’. 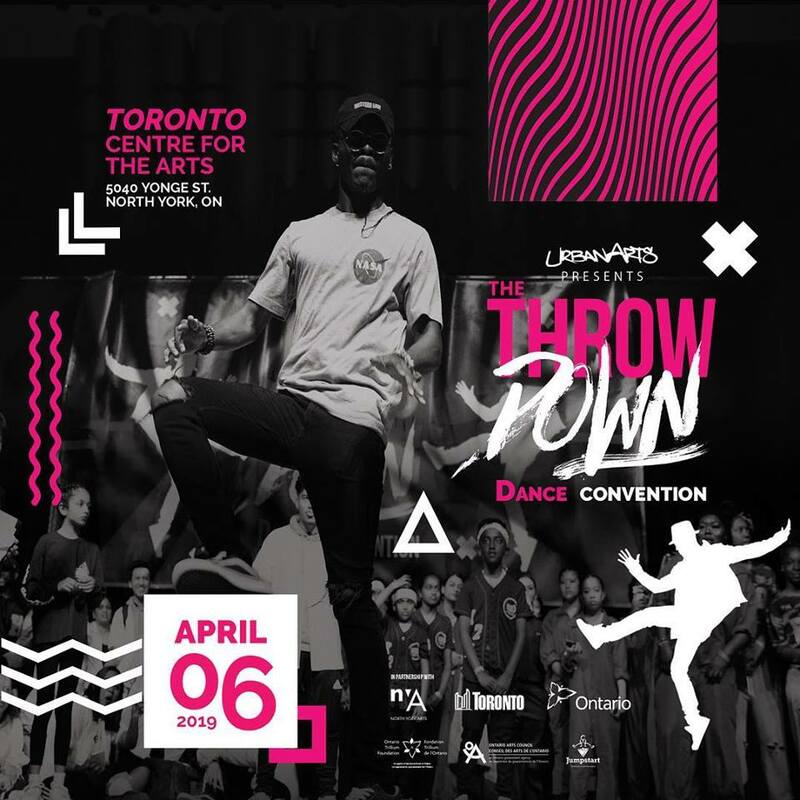 Through their dance showcase & competition, workshops & masterclasses, artist chats, and awards, ThrowDown promotes the development of artistic and life skills for youth in a supportive community atmosphere. Because of the generous contributions from key partners and supporters, Urban Arts is able to offer this dynamic dance platform 100% FREE for participants and attendees to experience. More Information and Get Your Tickets! Panel Discussion: “Creating A Balance As Communities Shift” – An expert panel will explore and exchange ideas on how to respond, advocate, and innovate in our schools, studios, and communities to provide dance programs and training for participants of all ages with different backgrounds, abilities, and evolving needs. How do we balance various cultural contexts, socio-economic conditions, and the varying landscapes in our communities? We welcome you for can-do thinking, deep discussion, and exchange of big ideas. Dance Workshops & Masterclasses (For facilitators and dancers): These workshops will focus on teaching dance-making skills to youth dancers, including creating movement themes and variations, exploring selected choreographic structures and utilizing elements of design to create exciting, meaningful and impactful work. Community Dance Competition & Showcase: School & community dance programs, troupes, and local dance initiatives across the city come together to showcase in a main event that includes expert judges, hosts, prizes and loads of fun! ThrowDown will consist of a team dance/crew competition (16 teams). Performances will be scored by a panel of expert judges. (See ‘Rules & Regulations’ tab for scoring criteria). Various awards will be given out throughout the evening.